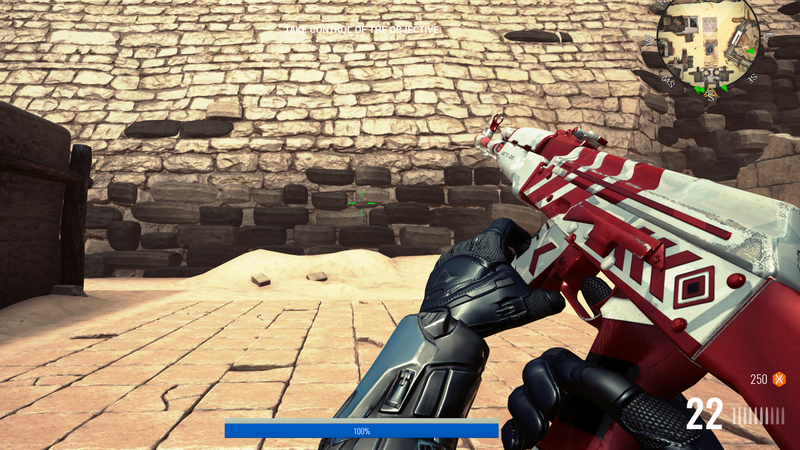 VGO announced earlier this week that its blockchain-based skins can now be played in the new first-person-shooter game The Forge Arena. VGO is the first project to use the alpha WAX Blockchain and it is the highest volume virtual item traded on WAX ExpressTrade. 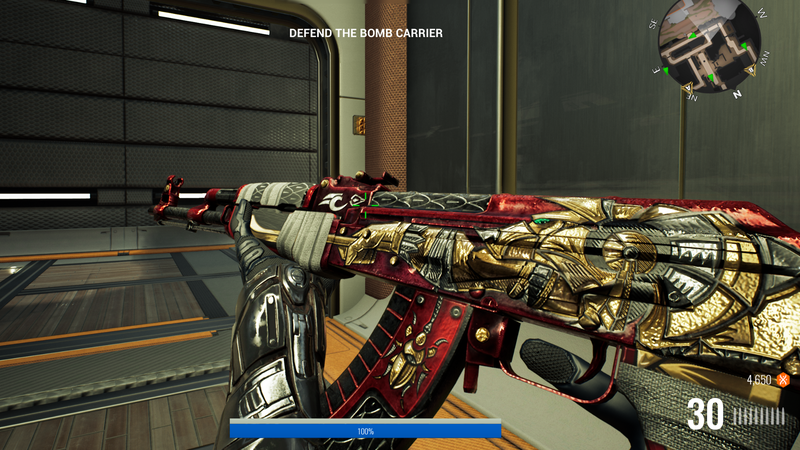 The Forge Arena is the first mainstream video game publisher to let players use their VGO skins in the game. This marks the first step of WAX’s ambitious goal of building a virtual-item-centric gaming culture, where players can use their personal collections of blockchain-based skins in any video game. This is made possible by the WAX Blockchain, a purpose-built blockchain for video gaming and e-commerce, and WAX ExpressTrade, a consumer friendly wallet for storing and trading virtual items.  VGO Skins have arrived in @TheForgeArena! Before WAX, VGO had the vision and the passion to create one-of-a-kind collectible skins that exist outside of any video game. VGO’s creators imagined a future video game landscape where players own their virtual items. And players can bring their virtual items with them into the games they enjoy. Easily generates one-of-a-kind virtual items. Stores those virtual items in a simple to use online wallet where players can trade with one another for free (no dreaded Metamask required). Integrates with video game publishers so that players can use their favorite skins in any video game. Fortunately for VGO, the WAX team shared their vision and has been building a system over the last year to do exactly what they need. By partnering with WAX, VGO turned their inspired vision of players owning their virtual items into reality. This vision benefits not only the virtual item trading community, but video game publishers as well. WAX ExpressTrade makes it possible for players to trade their blockchain based skins in multiple video games. That is a big deal. It is not how the video game industry is currently structured. Today, players don’t own their virtual items. Virtual items can only be used in a single video game. We believe this model will soon be outdated. The 400 million strong video game virtual item trading community wants the right of ownership to extend to their personal virtual item collections. Collections they have earned or purchased — some of which can cost thousands of dollars. You would think for that amount of money you could use them in more than one game. Well, WAX now makes this possible. With WAX ExpressTrade, players directly own their virtual items — secured on the blockchain. WAX ExpressTrade makes it incredibly easy and fun for players to trade with each other — for free — or instantly sell their virtual items for real money. VGO fans love WAX ExpressTrade. VGO skins are blockchain-based, so they belong to the player. And with WAX ExpressTrade, VGO skins can be enjoyed and traded in any game connected to the super simple WAX Publisher API. VGO is a excellent example of how blockchain based virtual items and WAX ExpressTrade appeals to both video game players and to game publishers. Game players love collecting skins and love showing them off even more. Game publishers clearly need players, lots of them, especially players who like to buy and collect virtual items. WAX ExpressTrade brings the two together. How? It’s a unique player acquisition tool. Game developers who integrate the WAX Publisher API gain access to a passionate community of dedicated gamers. Players who own VGO skins — or other blockchain based virtual items — are valuable. These are players who have already demonstrated that they play games — a lot. Enough to become virtual item collectors. These are players who like buying and owning virtual items. In other words, these are highly desirable players for a game publisher. The upshot? Giving these passionate players an opportunity to play with some of their favorite skins gives a game developer the opportunity to sell its own virtual items to a receptive audience. Win win. For game publishers who think it might work against their financial interests to allow players to bring their own skins, VGO or otherwise, into their game, it’s worth remembering the basic principles of the free-to-play business model. Everyone spends a lot of money trying to get potential players to try out their free-to-play game. The hope is that once they try it, the players will buy some in-game items. The reality? Only 1% to 4% of players on average ever makes a purchase. That means at least 96% of the players are never going to buy a virtual item. But one thing is certain. Having more people play the game enhances the gaming experience for everyone. There are no free riders in a video gaming context. So making your game more appealing — by inviting VGO skin owners to play it — is an outstanding and zero-cost player acquisition strategy. It’s also low risk — since these are dedicated gamers who have already proven they like buying virtual items and like playing games. Developers still build the exciting games that they have in the past. But now they have a built-in, ready-made audience when they integrate the WAX Publisher API. VGO is just one use case of how WAX and WAX ExpressTrade will change the way that virtual items are used in video games that support item trading. An item-centric ecosystem benefits not only the players, who are given more choices to use their skins in, but also game developers and publishers who immediately gain access to a desirable community of players. Players who are far more likely to try out a new game because they can use their favorite skin in it. The WAX team is excited to be working with forward thinking game publishers, developers and creators of non fungible tokens (NFTs) who together are pushing the envelope in how virtuals items are created, displayed and traded in the video game industry. What do you think? Let the community know!